This region is blessed with an incredible diversity of natural beauty and culture. 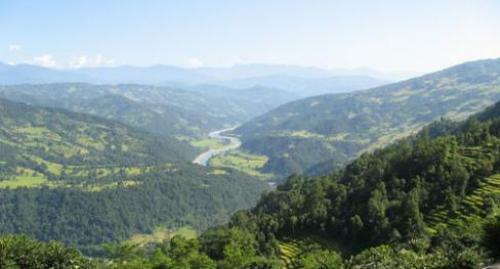 The Arun valley trek lies between two of Nepal’s highest mountains, Everest and Makalu. The area is virtually virgin territory with very few groups trekking the region. The trek provides some significant views of Mt. Everest, Mt Makalu along with a range of others as they stretch before you.Sherpa, Rai and Limbus are the main inhabitants of this region. The trek initially follows a northern route up the Arun river to Seduwa and Num, before crossing over the Barun La (4110m.) into the upper Barun Khola Valley for a close up experience of Makalu.There is also a wilder trek by crossing Sherpini Col and West Col into the upper Hongu valley. The highest point of the trek is Salpa Bhanjyang where nearby there is Salpa Lake, a holy Lake (3414m) sacred to all religions in Nepal. Day 01 : Arrival in Kathmandu. Welcome from airport and transfer to hotel / Introductory program and briefing. Day 19 : As per your flight schedule, transfer to airport for flight to onward destination.